Last couple of days were very educative. 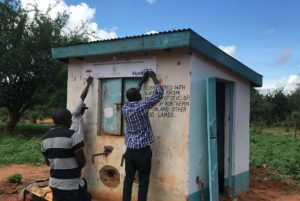 Travelled North-East of Kenya to Kitui County to visit the Ikathima Water Project (IWP) a water project in Masyungwa from our new partner Sharewater, a rural area that has major water problems. 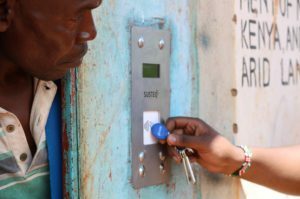 In this County about 40% of the water points are broken or only partly operating. That’s a big issue. There are multiple reasons, using bad materials in the past, lack of funding or research to mention a few. 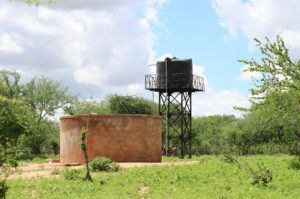 If hand pumps or water kiosk are not working people have to choose alternative water sources like earth/sand dams which are much further away and more dangerous to use because the water is contaminated. With every problem you first have to define and analyze the problem before you take action. Over the past years there’s a lot of research been done by the Oxford university. Sharewater partners with the Oxford university. The IWP is well-prepared and executed by a Kenyan company Fundifix. 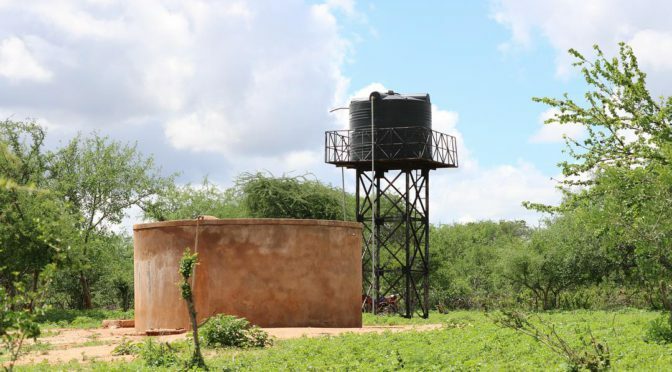 This company has created a sustainable maintenance model which could be the answer to solve the water problem in this area. 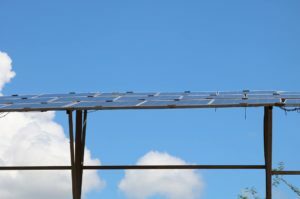 The project involves a combination of using renewable energy and a sustainable finance program. The expansion of a solar system makes sure that the high diesel fuel costs are reduced to 0. The solar system creates enough energy to pump up the water from a 185 meters deep well. The finance program looks very exemplary by using the newest technology. Every household gets a pre paid chip which is connected with a mobile number. One of the major issues at water kiosks is that money disappears. This model makes sure that theres no cash flowing, which makes it also much safer. This is an impressive and instructive project which we will accompany more in the near future. 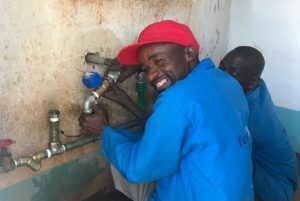 Together with all the partners we can achieve that many households in rural areas have quicker and safer access to water and sustainable services which will help communities grow.